I just love their expressions! 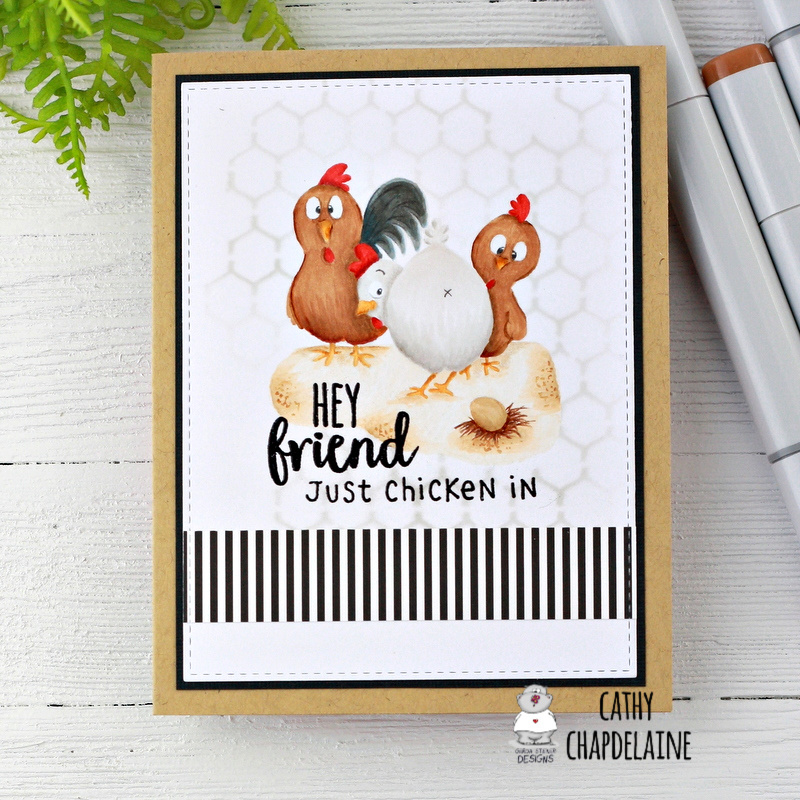 For this one, I started by stamping and masking the chickens using a light gray Copic friendly ink. I also cut a piece of eclipse masking tape for the ground under them. I used a light gray ink and a chicken wire stencil for the background and then colored up my little scene with Copics and some colored pencil details. I’ve combined a punny sentiment from this set with the “hey friend” sentiment from the Foxes stamp set. I liked the look of the different script together and it fit the space just right. I’ve heat embossed them with black embossing powder. I added a strip of patterned paper at the bottom to ground the scene and add some extra interest. Hope you have a great crafty weekend and see you again soon!